Jennifer has a broad and successful professional discipline, regulatory and healthcare practice. She regularly appears before disciplinary tribunals representing clients in conduct and competence and health cases, registration appeals, fraudulent/ incorrect entry appeals, restoration appeals and interim order hearings. She also has expertise in cases involving the Disclosure & Barring Service and inquests. Jennifer has extensive experience in education law and is instructed to provide advice and representation in higher education, schools and special educational needs cases. Prior to joining the Bar Jennifer worked as an advocate at a solicitors’ firm dealing with a range of education law cases (schools and higher education) and associated employment issues. She represented teachers, students and parents at both internal and tribunal proceedings. Jennifer also worked as a legal assistant to a senior barrister, assisting with his public / education law practice spanning work before university disciplinary panels, in the county court, High Court, Court of Appeal, and special educational needs work in the First-tier and Upper tribunals. Jennifer is also regularly instructed in civil matters including Fast track cases, Cost budgeting, preliminary hearings, small claims trials, possession hearings and application hearings. Jennifer is a professional disciplinary and healthcare specialist. She regularly appears before the various disciplinary tribunals including the Nursing and Midwifery Council, General Dental Council, General Pharmaceutical Council, Health Care Professions Council and the Chartered Institute of Management Accountants. As well as appearing in court Jennifer frequently delivers seminars, lectures and training within this specialist area. She has also taken part in stakeholder events and discussions in relation to proposed changes to the law in this area. GDC v RY  Jennifer represented a dentist facing charges including dishonesty related to plagiarism in a course connected to his dentistry practice. After hearing persuasive submissions by Jennifer, the panel imposed a caution order. NMC v CW & Others  Jennifer represented one of six nurses in a high profile four-week hearing. In the years preceding the regulatory proceedings there had been an inquest and civil proceedings. This case involved the death of a patient after he had been admitted to a ward with what had been diagnosed as back pain. The nurse that Jennifer was representing faced five charges ranging from failing to check patient records and escalate his condition to inadequacies in the administration of medication. After hearing four weeks of evidence, Jennifer persuaded the panel to impose the least restrictive of sanctions solely based on public interest grounds. FM v NMC  Jennifer successfully represented a nurse who had been refused re- registration due to alleged ongoing health concerns. After a one-day hearing and careful cross examination of the NMC’s expert witness, the nurse was restored to the register. NMC v AL  Jennifer acted for a nurse in this dual handed case concerning multiple charges relating to alleged poor care of a patient’s catheter. Jennifer made successful submissions of no case to answer in relation to some of the charges and then successful submissions resulting in findings of no misconduct for the remainder of the charges. NMC v SA  Jennifer defended a nurse in this high profile case involving a nurse working for an NHS Trust for over 17 years without a work permit. This case involved 12 charges, some of which alleged dishonesty regarding the non-disclosure of her work status and her interaction with colleagues. The case, on the face of it, should have attracted a striking off order. However, Jennifer managed to persuade the panel to impose a 6 months suspension order. NMC v ES  Jennifer represented a nurse in this technically complex case concerning a Cardiac Services Team Leader. Jennifer successfully made an application of no case to answer in relation to several charges including a “contribution to death” charge. After which the only charges that remained were the charges which had been admitted by the registrant. Jennifer then went on to make submissions resulting in findings of no misconduct for the remainder of the charges. NMC v Yeboah  Jennifer represented a nurse charged with dishonesty and working excessive hours. Jennifer secured the least restrictive of sanctions, a caution order, after a 3-day hearing. JS v NMC  Jennifer successfully represented a registrant who had been denied registration due to historic convictions, some of which included offences involving dishonesty. Jennifer has also run education law seminars/training days and given presentations to Central Law Training (the UK’s leading provider of post qualification training and accreditation for professionals working in the legal sector), Education Law Association (ELAS), Independent Appeal Panels, barristers’ chambers and a youth project run by the Supreme Court “Big Voice London”. 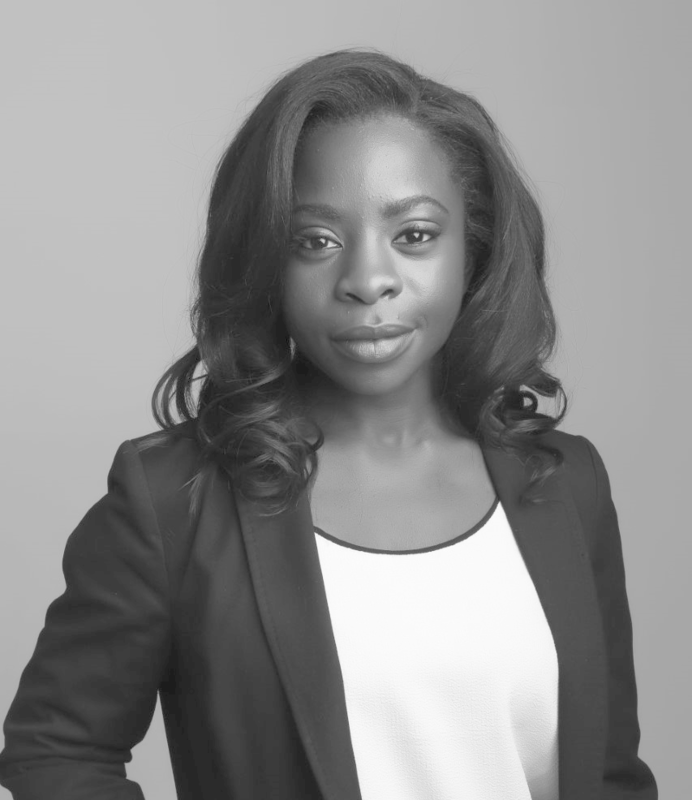 Jennifer Agyekum is qualified to accept instructions directly from members of the public and professional clients under the Direct Public Access scheme.